What started as an alternative to congested runways and crowded streets in Tampa and Orlando, Lakeland has become a preferred private jet center for many business and leisure travelers, less than an hour from either city. At the same time, the I-4 corridor, where Lakeland is nestled between the two cities, has experienced significant growth as a major distribution center, with companies such as Publix, Amazon, Saddlecreek, and Walmart located in the area. With increased demand for MRO and air cargo facilities, as well as its popularity with corporate and cargo jets, Lakeland Linder Regional is expanding its horizons by offering customs & immigration services. The U.S. Customs and Border Protection General Aviation Facility located at Lakeland Linder Regional Airport (KLAL, LAL) officially opened on November 16, 2017, with the first international flight clearing customs later that afternoon. Private flyers and executive travelers can now arrange for their international flights to Lakeland, FL, with customs & immigration services on-site. It’s also a major development for air cargo, logistics, and distribution along I-4, relieving some of the burden from major cargo centers in central Florida. This is especially important for the aforementioned business located along I-4. Executives and business groups are able to conduct business overseas and return closer to their corporate and regional offices, instead of clearing customs in Tampa or Orlando. To begin, Customs and Border Protection office hours are from 11:30 AM EST – 8:00 PM EST, and passengers will arrive/depart via the Sheltair FBO. However, it’s important to note that the US Customs office at Lakeland Airport will be closed on Tuesdays and Wednesdays. Also, there will be a few restrictions in place while the office begins operations. 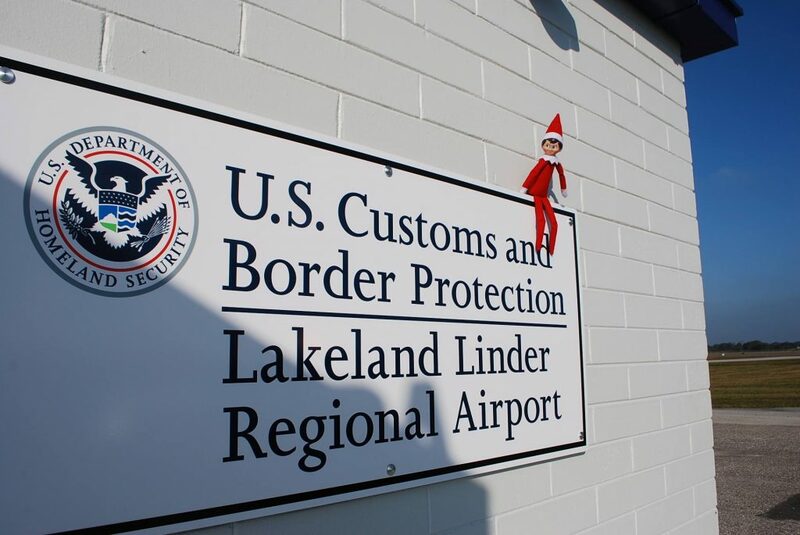 First, passenger processing at Lakeland’s U.S. Customs and Border Protection General Aviation Facility will be limited to 19 passengers or less, excluding crew members. Air cargo services can be processed, however, prior coordination with CBP is required until further notice.